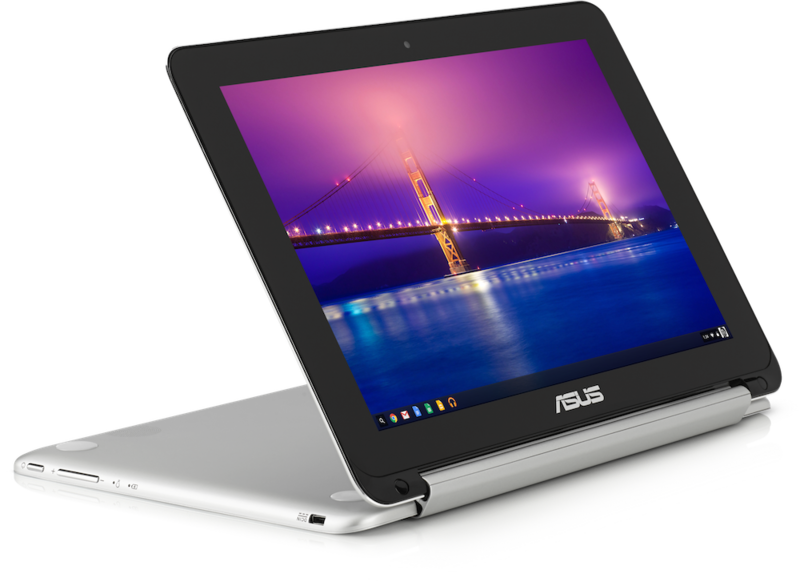 Google announced a couple of laptops today, with the most interesting of them being the $249 Asus Chromebook Flip. It’s going to be the first mainstream Chromebook that offers a 360-degree hinge, letting it function as a tablet as well as a laptop. The Chromebook Flip comes with a 10.1 inch IPS display running at 1366×768 resolution. The chassis is made from metal, giving it a premium and durable feel. Interestingly, it’s quite light—coming in at less than 2 pounds. You’ll find the standard number of ports around the device. It has two USB 2.0 ports, an SD card slot, audio jack, and HDMI. While all this is interesting, the innards are disappointing: Rockchip 3288 CPU and 2GB of RAM. Yes, you read that right: a Rockchip CPU. For those of you who don’t know, Rockchip is a Chinese company that produces low-power processors that are excruciatingly slow when compared to rivals. Google has partnered with Rockchip for producing power-efficient CPUs that will show up in other Chromebooks. Benchmarks so far show that the processor holds up decently when compared to older ARM chips. Color me unimpressed, but I expected better. The Flip is coming out in about six to eight weeks and will coincide with the release of ChromeOS v42. It’s going to include optimizations for the touch experience, including the ability to flip the display image, on-screen keyboard, handwriting recognition, and more. I really like the Flip’s design and premium look and feel. However, I wish Google went with a more powerful CPU for this device because I’d absolutely snap one up if that were the case.